Although the most expensive options are not always the best, the most expensive golf courses in Bangkok are some of the best available, not only around the city but in the whole of Thailand. 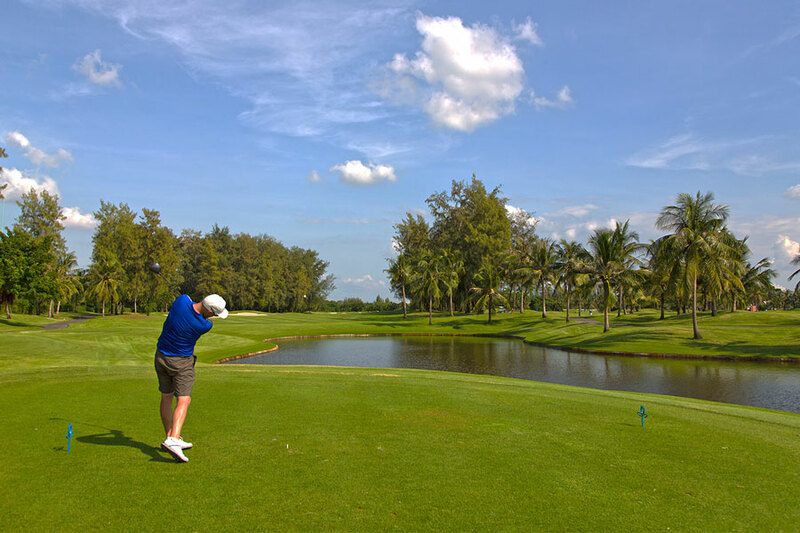 However, when considering a trip to play the most expensive golf courses in Bangkok, you should firstly be aware of the best times to play the courses. After all, you do not want to spend your hard-earned cash on Bangkok’s exclusive golf courses, only to find you are playing out of season and the course is not in great shape. Bangkok is one of the most visited cities in the world and it is easy to see why. This is a city of huge contrasts and one which continues to surprise visitors, even after multiple visits. From temples, floating markets and street stalls to five star hotels, shopping centres and thriving nightlife, there is something for everyone to enjoy in the capital city of Thailand. Looking at the city from a local perspective, leisure activities are readily available, to keep the millions of inhabitants busy including football, tennis and golf. Bangkok is one of the hottest cities in the world, with average temperatures around 30 degrees. In truth, the temperature does not fluctuate much between one season and the next, although the ‘cool’ season is considered the best time to visit, which is between November and February. Daily temperatures tend to stay around 30 degrees but can drop to around 20 degrees at night. There is very little in the way of rain during the cool season and therefore it is a popular time to play golf in Bangkok. In fact, you will probably find the most expensive golf courses in Bangkok to be at their busiest and priciest at this time of year. However, in this instance you get what you pay for and the golf courses are at their best, with the weather also very favourable, meaning you are guaranteed a great golf holiday. Between March and April, Bangkok enters the hot season and temperatures are known to rise to 40 degrees but on average, sit around the 35 mark. You will want to take plenty of fluids with you if you plan on booking a round at the most expensive golf courses in Bangkok at this time of year. The third and final season in Bangkok, is the wet season. This runs from May until October and as the name suggests, is the wettest time to visit Thailand’s capital city. There can be huge downpours which can lead to standing water on the golf courses but although the rain can last all day, it mainly arrives in the form of short, sharp showers during the afternoon. This can be a pleasant experience and a nice way to cool down during a round of golf. So, if you do not mind getting a little wet, May until October can still be a good time to experience the most expensive golf courses in Bangkok. With that in mind, let’s look at the most expensive golf courses in Bangkok and what they offer. 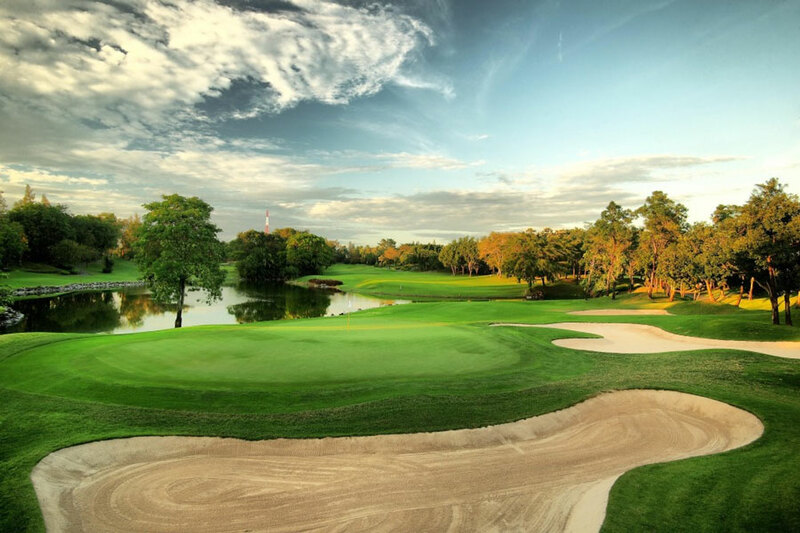 One of the most exclusive golf clubs in Bangkok is the Thai Country Club. Situated 50 minutes from downtown Bangkok, this prestigious golf course has seen the likes of Tiger Woods and Vijay Singh win PGA events and when it comes to service, you will struggle to find anything better in Thailand. 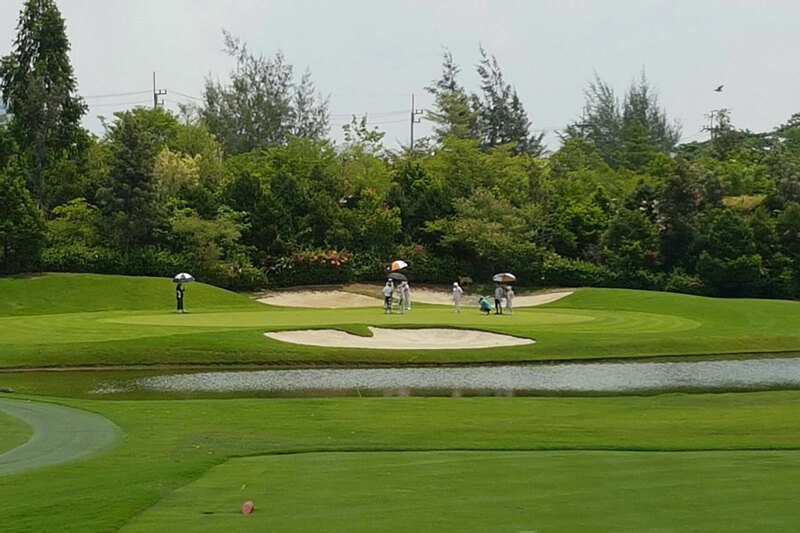 Designed by Denis Griffiths and opened for play in 1996, Thai Country Club has been designed in a way to allow both beginner players and tour professionals to enjoy the 18-hole, par-72 course. It stretches to 7,157 yards from the back tees and is very well maintained throughout the year, so if you fancy tackling one of Bangkok’s most expensive golf courses out of season, Thai Country Club is a great choice. The course offers great variety throughout the 18 holes, with sand bunkers and water making the bulk of the hazards to avoid. A classic parkland layout, you are sure to be impressed by the quality of the presentation, one of the many reasons Thai Country Club is regularly voted as one of the top golf courses in the whole of Asia. The fairway and greenside bunkering is superb and the semi-rough which surrounds the fairways will leave you with a tough escape shot but nothing which is not manageable. The undulating greens and pin placement mean well thought-out approach shots are must, to leave a realistic chance of putting in one. Perhaps the toughest hole is the 218 yard. par 6th, which features a heavily guarded green with water to the right and bunkers at the front and back. Even the professionals have struggled with this one so if you make a birdie or even par, treasure the moment. As you would expect from one of the most expensive golf course in Bangkok, the caddies are very good and clearly well trained. The award-winning clubhouse is a delight and the staff will cater to your every need with a smile, which adds to the overall experience. The Gallery restaurant features an ever-changing menu, using fresh seasonal ingredients and offering Thai, Japanese, Chinese and Western Cuisine. You are guaranteed a fantastic golfing experience from the moment you drive up to the door at Thai Country Club and that’s why it is so highly thought of, not only in Thailand but around the world. Moving a little further away from the centre of Bangkok, the Alpine Golf and Sports Club is a 60-minute drive from Thailand’s capital city. Established in 1996 and designed by Ronald M. Garl, this is not only one of the most expensive golf courses in Bangkok but it is one of the best. In fact, Alpine Golf and Sports Club is rated as being one of the top golf courses in Asia and you certainly get what you pay for, plus a lot more. The venue for the 2000 PGA Johnnie Walker Classic, won by Tiger Woods and the same event in 2004, the course is thought by many to be the best layout and most challenging golf course in Bangkok. The most noticeable aspects of this golf course are the extremely fast greens and undulating fairways. The course is always in tremendous condition and despite being created from flat rice paddy fields, boasts several changes in elevation throughout the 18 holes. Beach style bunkering and water are significant features at Alpine Golf and Sports Club and the jungle which lines several of the fairways can seem quite daunting from the tee. Anything but a straight drive will usually leave you in trouble on this golf course. Look out for the greens on the 7th and 11th holes, which are very well protected by water and other than a small stretch of land, are essentially islands. You are certain to have your golfing ability tested on this course but with some of the most picturesque holes in Thailand and plenty of lush vegetation surrounding the course, you will also be taken aback by the beauty of Alpine Golf and Sports Club. The clubhouse facilities and service is excellent and there is a Chinese restaurant and coffee shop to enjoy following your round. It may be one of the most expensive golf courses in Bangkok but Alpine Golf and Sports Club is worth every Baht. 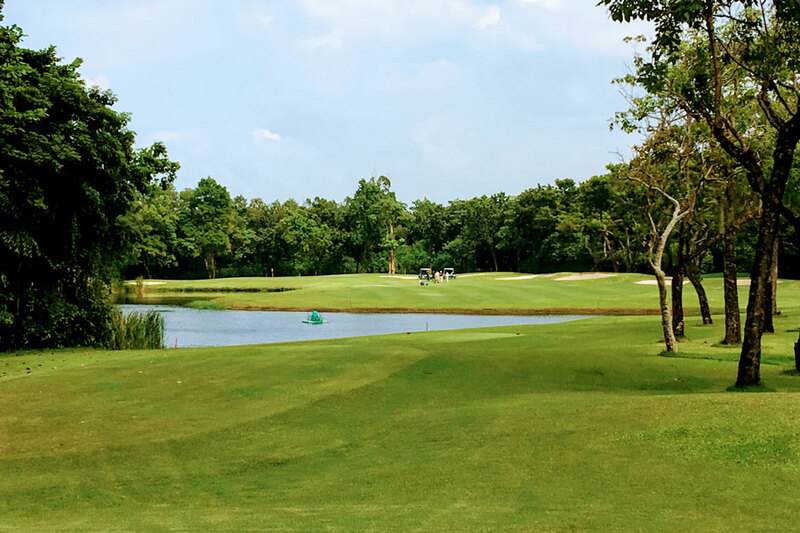 If you would like to play the golf course which helped in bring the sport of golf in Thailand to the way we see it today, you must head to Navatanee Golf Course. This course was established in 1973 and designed by Robert Trent Jones Jr. Only two years after opening, Navatanee Golf Course hosted the World Golf Championship and has since played host to the Thailand Classic. Having successfully hosted the Thailand Classic in 1999, Navatanee was declared the best golf course in Thailand by Golf Digest USA and it’s easy to see why it achieved such an accolade, given the stunning natural feel to the course. This is one of the most expensive golf courses in Bangkok but also one of the most beautiful. The course is always maintained to a very high standard and the Rosewood trees and bougainvillea which line the fairways are a lovely touch. International guests are welcome to play the course on weekdays but the weekend is reserved for members, so if you would like to add Navatanee Golf Course to your itinerary it is best to do so early. The signature hole is the par-4 6th, which requires a draw from the tee to make the green in regulation. However, there is water down the whole of the left side of the fairway and guarding the front of the green. If you walk away from the 6th hole at Navatanee with a par, you will be happy. The clubhouse boasts a lovely outdoor restaurant and the caddies are very knowledgeable, so do not be afraid to take their advice, especially if the wind decides to pick up. If you would like to enjoy the experience of playing at a private Thailand golf club, this is the closest you are going get. As you would expect, you must pay a premium for the privilege but having done so and completed your round, you will be delighted with your decision. Having enjoyed the experience of playing at a private Thailand golf club, how about taking on the challenge of playing possibly the most exclusive golf course in the world? At Royal Gems Golf City, just 60 minutes outside Bangkok, you can experience what it is like to play the back nine holes of the Augusta National, home of the Masters. As you would expect, this is one of the most expensive golf courses in Bangkok but is worth the fee. Established in 2011 and designed by Ron Garl, Royal Gems Golf City features nine fantastic holes from the world of golf followed by a replica of the back nine holes at Augusta. Have you imagined what it must be like to step onto the tee at TPC Sawgrass' famous 17th island green? Well now you can do it, thanks to Royal Gems Golf City. The front nine also features holes from world famous courses such as Oakmont, Bay Hill, St Andrews and Royal Troon. Having completed these holes, be prepared to take on Augusta National’s legendary Amen Corner before coming home on the 18th green and soaking up the atmosphere of what it must be like to sink the winning putt and slip on the green jacket. 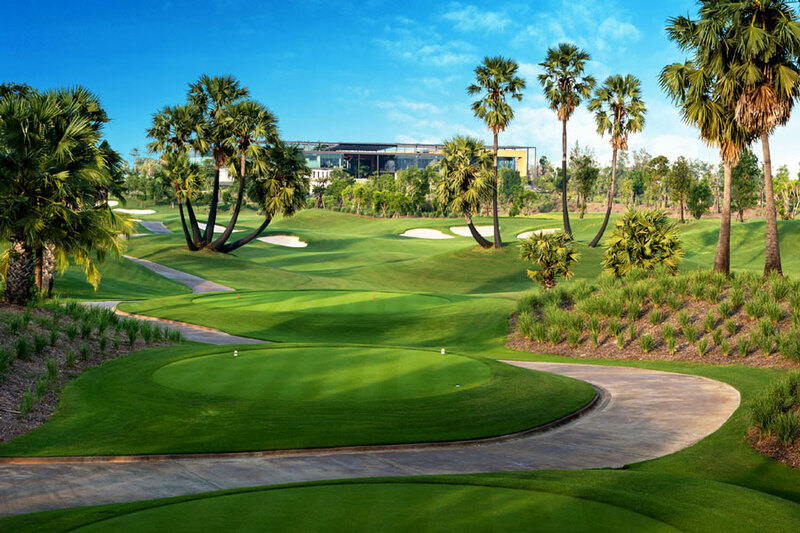 For a day of golf, you will never forget, you must add Royal Gems Golf City to your Bangkok golf itinerary. You must be prepared to travel a little further outside Bangkok for this next golf course but it is worth the 75-minute journey. Nikanti Golf Club is one of the more modern golf clubs in the Bangkok region, having opened in 2014 and commands a high price as a result. However, Nikanti offers a golfing experience different from any other in Bangkok and is much shorter, playing at just 6,850 yards from the back tees. There is no traditional front and back nine at Nikanti Golf Club, instead there are three sets of six holes, each of which start and end at the clubhouse. There are two par-3’s, two par-4’s and two par-5’s on each set of six and they combine to make a par-72, 18-hole golf course. Due to the higher number of par-3 and par-5 holes on this course, you are given more scoring opportunities than usual but do not be deceived by the wide look of the fairways, as there are many undulations and elevation changes throughout the course. The greens are also very undulating and play very fast, especially when making downhill putts so good approach play is a must when attempting to make a low score. If you have played many of the golf courses closer to Bangkok and fancy the challenge of something with more elevation changes, Nikanti Golf Club is the perfect choice. Roughly the same distance from Bangkok as Nikanti Golf Club, if you are looking for the newest golfing experience in this region of Thailand, head to Royal Bang Pa-In Golf Club. This is an interesting take on the traditional golf way to pay and play golf, as they offer an all-inclusive package, even for those who are only staying for the day. 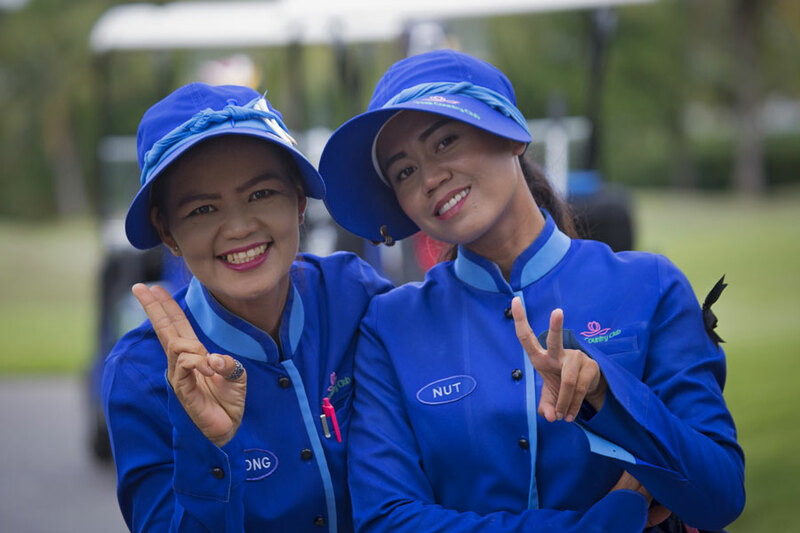 Therefore, this makes Royal Bang Pa-In Golf Club one of the most expensive golf courses in Bangkok but considering your green fee, caddie fee, private golf cart, on-course snacks and cooler box of soft drinks are all including, it can work out very well. The stand out feature of the par-72, 7,052-yard course are the huge greens, some of which are the biggest in Asia. They are quick and come with several elevation changes, making good putting a must for a low score. Solid green reading and lag putting skills are required and even then, you may still find yourself making a two putt. The rough around the fairways is thick, which makes escape shots difficult but the fairways are hard and this promotes good run out, which should result in some nice long drives, even for those who would not consider themselves big hitters. There are many risk/reward holes at Royal Bang Pa-In Golf Club, with tempting shots over water and bunkers, which leave many scratching their heads as to which way to play them. A good, clear strategy is required to be successful on this golf course. The par-5, 9th hole is a gold example, as this requires a long tee shot to clear a stream which is crossing the fairway. By clearing the stream, the approach shot to the green is straightforward and presents a good birdie opportunity but if you find the water, you may be left struggling to make par. The clubhouse is very modern, as you would expect from a course which opened in 2017 and features a large waterfall and heliport, for those arriving in luxury. The restaurant offers Thai and Western food but it is the view which steals the show, offering tremendous 360 degree views of the golf course. You will not find Royal Bang Pa-In Golf Club to be the cheapest golf course in Bangkok but it cannot be beaten in terms of a private country club experience. If you are looking for the ultimate golfing experience, you must try the most expensive golf courses in Bangkok. Despite commanding the highest prices of all the golf courses in Bangkok, the value is tremendous and if you want the very best in golf course design, conditioning and facilities, you must add them to your Bangkok golf itinerary.